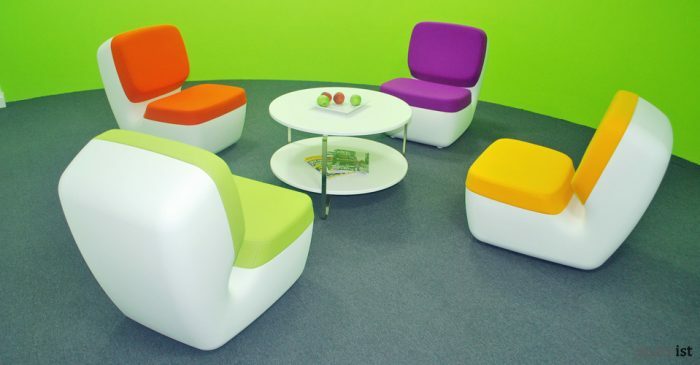 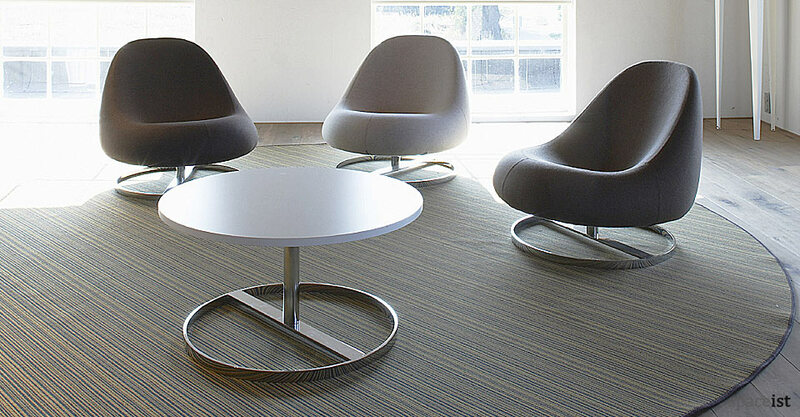 The Flow low chair provides comfortable seating for modern libraries. The circular base swivels to allow added privacy and the high back provides additional support and comfort. 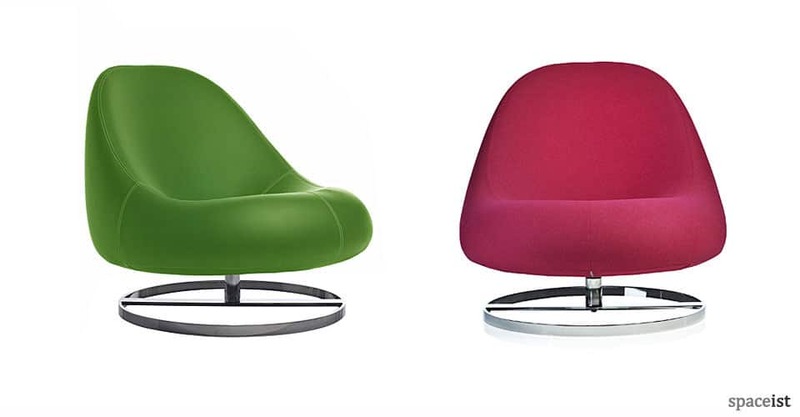 The chair is upholstered in either faux leather vinyl in a choice of colours or in strong wool. 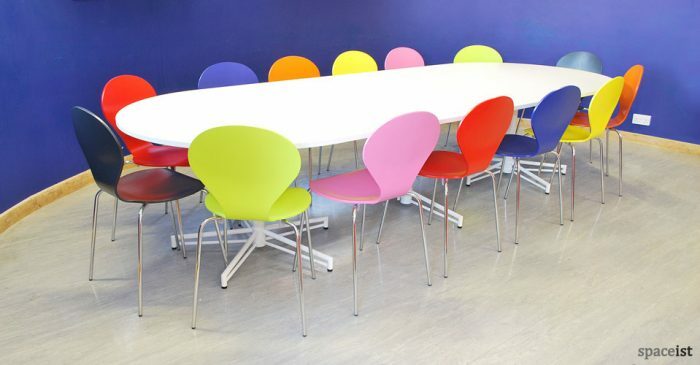 The chair can be one colour or made with seat and back in alternate colours.